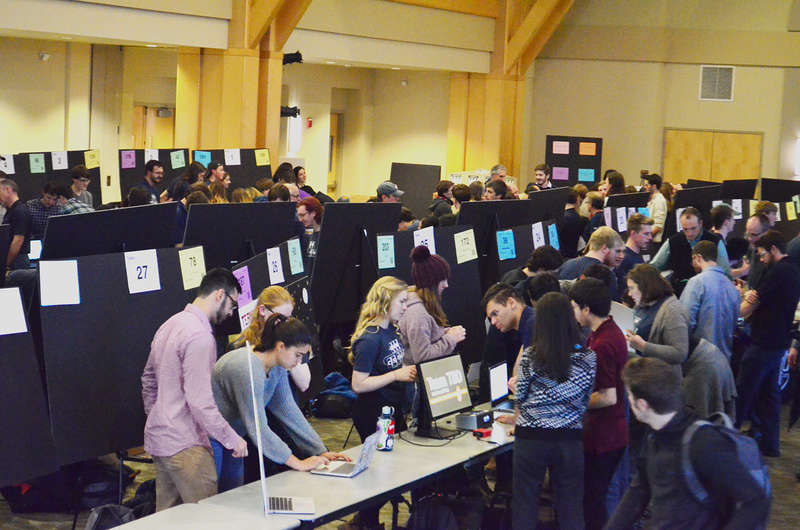 The CS Fair is a UVM event which provides Computer Science students the opportunity to display web, app, and other computer related projects for the chance to win up to $300 in cash*. This year the CS Fair will be held December 6th in the Davis Center's Grand Maple Ballroom. *Prizes will be announced at the conclusion of the fair. Prize amounts are subject to change based on funding. Prizes may be awarded as a UVM gift card. All Participants must have been enrolled in a Computer Science course at UVM or be an active CS or Data Science, Major or Minor during the 2019 calendar year (Jan to Dec). Group or individual projects are allowed. Course projects are allowed (the more unique they are from your classmates' the higher your chances of getting in and winning). Non course projects are highly encouraged (i.e., something you did on your own). You may enter more than one project but you cannot present more than one project in a time slot. It is your responsibility to confirm you have not been assigned to present more than one project at a time. Registration does not guarantee project will be accepted. Code should be original or clearly documented if code is not yours. All entries must be present at their booth. We will provide space on a table, but you need to provide a laptop (with a good battery power should be available) and/or other display (e.g., poster). You are eligible to win only one competitive prize, you may forfeit a lower prize. Prize amounts may be reduced when there are less than 15 projects in a category. Unclaimed prizes will be forfeited after one week after the fair. Monetary prizes will be in the form of UVM gift card. Gift cards will be ready for pick up the week after the fair from the CS deptartment office. UVM monetary prize policy and scholarship policy. All entries allow us to use photos for promotional material. All entries must be received by November 8, 2019 in order to receive a t-shirt. T-Shirts not picked up by December 3, 2019 are forfeited to a first come first serve. Violation of the rules will result in disqualification.